The Bachelorette Kaitlyn Bristowe and her 2015 winner Shawn Booth still haven’t set a wedding date – and no one seems to find this odd? Shawn and Kaitlyn have insisted that their relationship is the real deal, and they won’t be breaking up like the majority of The Bachelorette and The Bachelor couples before them. But, the fact that they still have not set a wedding date, or even made any wedding plans is beginning to make fans skeptical. Kaitlyn Bristowe and Shawn Booth recently sat down for an interview with SHOEme, and of course were asked about their wedding plans. Because, that’s the entire premise of the reality TV dating show – Kaitlyn was looking for a HUSBAND. Not a life-long fiancé. Shawn and Kaitlyn revealed in the interview that they still have not set a wedding date, and were “taking things slow.” As a matter of fact, they hadn’t even made any wedding plans, nor talking about planners, dresses, venues, etc. One could argue that the fact that Kaitlyn and Shawn aren’t rushing down the aisle is good for their relationship – and could mean that they might actually be one of the couples that stays together. But, we can’t help but notice a growing similarity to Chris Soules and Whitney Bischoff and Josh Murray and Andi Dorfman’s engagements. After Andi and Chris’s stints on the reality TV show ended – their relationships seemed to come to a stand-still, and they both made similar statements in interviews about “enjoying being engaged” and “not wanting to rush in to a wedding.” And, look where they are now. If you think about it, the few couples that do end up getting married after the show – can barely wait to say their “I Do’s” and start planning their over-the-top weddings. The fact that Kaitlyn and Shawn are still stalling to make a commitment and set a wedding date only further supports the theory that they are just milking their engagement for all that it is worth and cashing in on their stardom. What do you guys think? Will Kaitlyn and Shawn actually get married? Or are they just dragging out their engagement to milk it for all that it is worth before their inevitable break-up? Let us know what you think in the comments below! 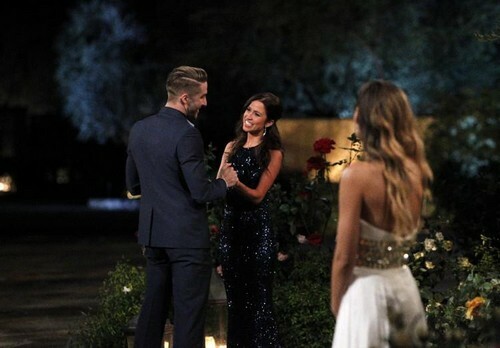 Who Won The Bachelorette 2015 Finale Spoilers: Is Kaitlyn Bristowe’s Season 11 Winner, Shawn Booth or Nick Viall? The Bachelorette 2015 Spoilers Break-Up: Producers Force Kaitlyn Bristowe and Shawn Booth to Fake Relationship for Finale? Who Won The Bachelorette 2015 Spoilers: Kaitlyn Bristowe’s Winner Shawn Booth or Nick Viall, Reality Steve Finale Result? The Bachelorette 2015 Spoilers: Kaitlyn Bristowe and Shawn Booth Break-Up, Cancel Engagement and Wedding Over Nick Viall? The Bachelorette 2015 Spoilers Who Won: Shawn Booth or Nick Viall Season 11 Winner – Was Kaitlyn Bristowe SnapChat A Hoax?